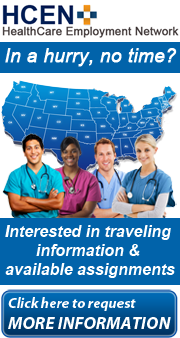 Enjoy RN Travel jobs from Alaska to Florida at more than 400 facilities nationwide! The Jackson Nurse Professionals team have been helping healthcare facilities overcome nurse staffing shortages for over 11 years helping to prevent vacancies and nurse burnout. Jackson Nurse Professionals says they can help you get the edge on your competition with a 24/7 recruiter dedicated to helping you achieve your professional goals by placing you in the locations of your choice from coast-to-coast. Enjoy working at quality healthcare facilities where travel nurses are welcome and where advanced care is the priority. At Jackson Nurse Professionals you will always know what you're getting from recruiters who do more than just consult with you. 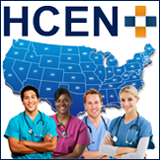 These recruiters will advocate on your behalf for the nurse staffing jobs you want most. Enjoy clear competitive salary and benefits packages that will never leave you in the dark. Jackson Nurse Professionals focuses on building long term relationships with both their clients and their registered nurses. Over the years, the nursing industry has changed in countless ways, but the Jackson commitment to creating quality solutions for healthcare staffing has not. Click here to find out more about Jackson Nurse Professionals.